A combination of laughter and exercise could improve older peoples’ mental health while also boosting their physical stamina and motivation according to researchers at Georgia State University, USA. This could help those living with cognitive impairment as well as encourage older people to persist with exercise regimes researchers suggest. Studies have already shown laughter strengthens and relaxes muscles, with a good, hearty laugh relieving physical tension and stress, and muscles relaxed for up to 45 minutes. In Australia, this has led to programs such as laughter yoga and laughter therapy, with users experiencing physical changes such as enhanced circulation, breathing and coordination as well as psychological changes in improved moods and a better feeling of wellbeing. The Humour Foundation’s Elder Clowns™ program, where highly skilled professional performers visit residential homes, has found residents living with dementia, depression or palliative care patients are engaged and uplifted after their visits. And it’s not just residents benefiting. The Arts Foundation program Play Up has found visits from their specially trained Valets not only improved residents’ lives, but also improved the morale, engagement and retention of staff. Plus Melbourne laughter yoga instructor Carolyn Nicholson, who provides laughter yoga lessons for seniors, has found benefits for her own health since adopting the method 10 years ago. In this latest study, named the LaughActive program, playful simulated laughter (laughter initiated as a bodily exercise) was incorporated after every two to four strength, balance and flexibility exercise. The stimulated laughter exercises in one participant often resulted in other participants laughing, transitioning the laughter from simulated to genuine. Cognitive skills are not required to ‘get the joke’ because there is no joke, however the study found significant improvements among participants in mental health, aerobic endurance and outcome expectations for exercise (for example, perceived benefit of exercise participation), based on assessments completed by the participants. The results, published in The Gerontologist, showed 96.2 percent of participants found laughter to be an enjoyable addition to a traditional exercise program, 88.9 percent said laughter helped make exercise more accessible and 88.9 percent reported the program enhanced their motivation to participate in other exercise classes or activities. 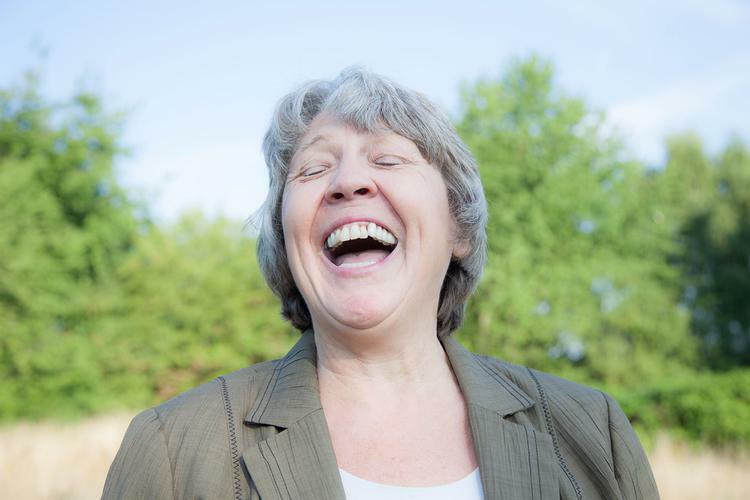 Celeste Greene, lead author of the study believes simulated laughter may be an ideal way for older adults with functional or cognitive impairment to achieve the health benefits of laughter. These include lowering blood pressure, reducing stress hormone levels, improving cardiac healthy, boosting T-cells (immune system cells), triggering the release of endorphins (the body’s natural pain killer) and producing a general sense of wellbeing. She also thinks the combination of laughter and exercise may influence older adults to begin exercising and to stick with the program.